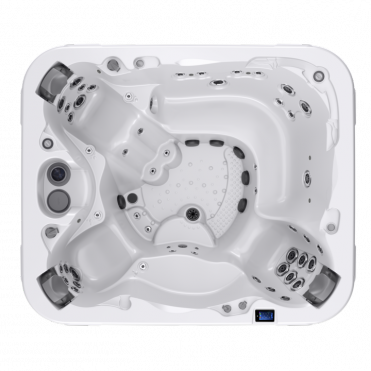 Showcasing 60 jets and the most seating options D1® has ever offered the top-of-the-line Executive™ is the largest and deepest spa in the industry. This spa is the ultimate in relaxation and head-to-toe hydrotherapy featuring large, open bench seating and a unique Ultra Therapy Seat™.As with all the spas in the Bay collection, this hot tub i powered by the UltraPURE Plus™ water management system pumping crystal clean water during your soak. Length: 92" | Width: 110" | Height: 41.5"